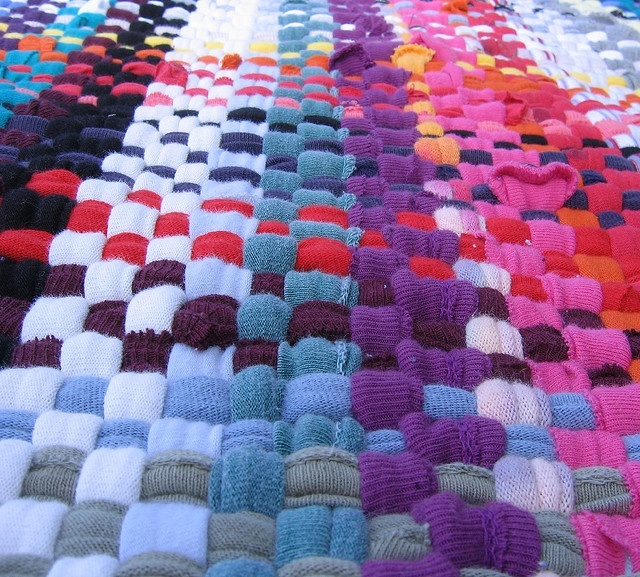 Decorate your floor with these handmade t-shirt rugs. You need a t-shirt strip, a needle, a thread and a small technique to make it. You can follow various creative methods to make it look beautiful, artistic and different. Well, you can use your creativity to fill colors and patterns in your decoration. Choose a T-shirt of good colors and cut them into strips to make a beautiful rug. You can give a crochet pattern of your choice. 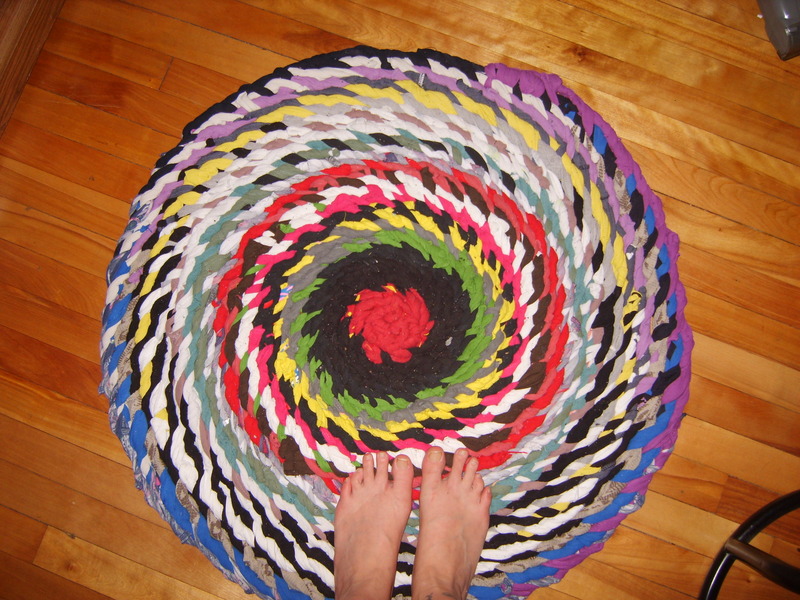 Decorate your floor with colorful rugs using old T-shirts. Make beautiful patterns using the strips and bring out a complete, elegant product. 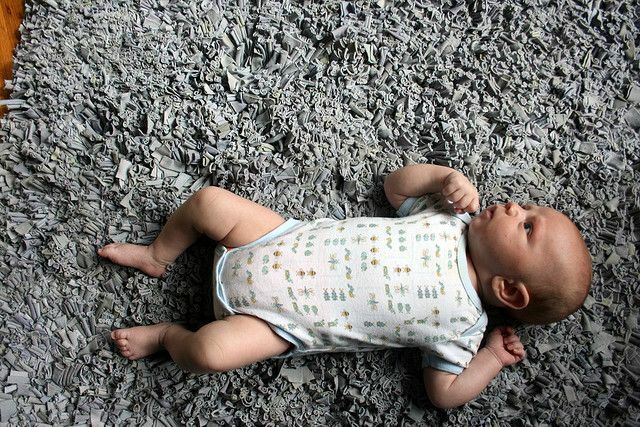 Bring all your old T-shirts from the cupboards and make a beautiful rug out of it. Make a one that will complement your room. 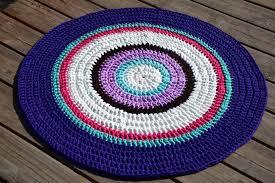 Design a floral pattern crochet rug using colorful T-shirts. Use it in your bedroom, hall or even in the gallery. Try this time a new crochet rug with a different pattern that will enhance the beauty of your room. Look for the best color combinations and a different style that matches the color. Pop up your room with the colorful Tee shirt rug and enhance the charm; this handcraft is a perfect decorative piece for your home. Put your creativity in making a braided rug and come up with a beautiful one having a different pattern. You can also add two other designs in it to make it look unique. Going with an odd pattern can turn out to be a good idea. Similarly trying a shaggy style to make a rug can completely change the look of your floor. 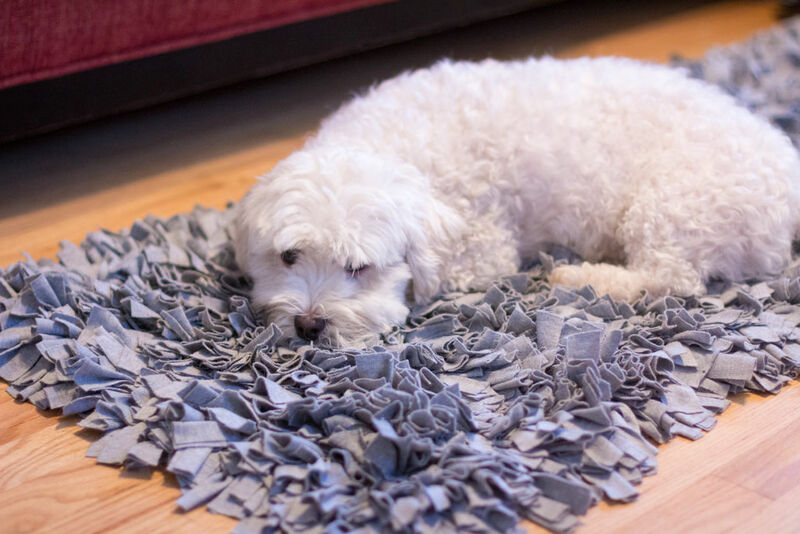 Follow the directions given in the link and start making a natural rag rug using t-shirts. You can use your pattern, follow your style and create something unique for your home. Give a soft touch to your feets every time you step up on these beautiful silk yarn rugs. They can have various patterns and designs. You can choose one depending upon your choice. 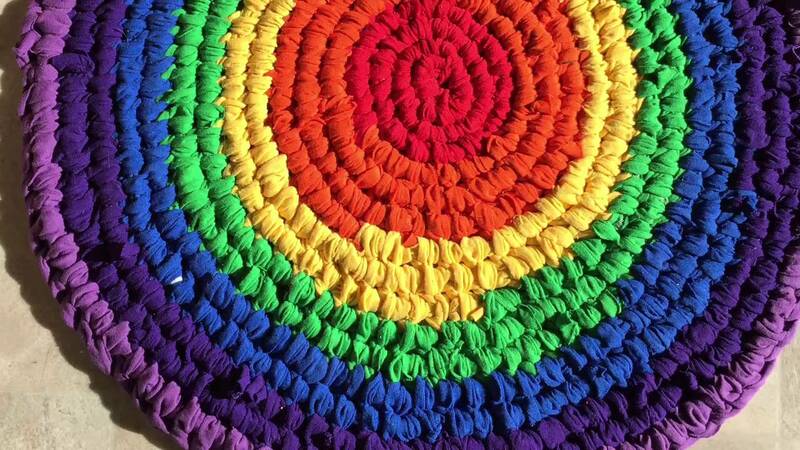 Play with colorful t-shirts and make a beautiful rug. This DIY section can be fun for you as you have an exciting rug idea now. Spend your free time creating something beautiful. Try making these out of the box idea of making rugs using old and unused T-shirts. The 21st century is all about reuse and recycle, so why leave your t-shirt out from the queue! Upcycle the old t-shirt into a beautiful rag. This rug idea can help you to make one for your bathroom or even your kitchen. They will add up space and enhance e the beauty of the floor. 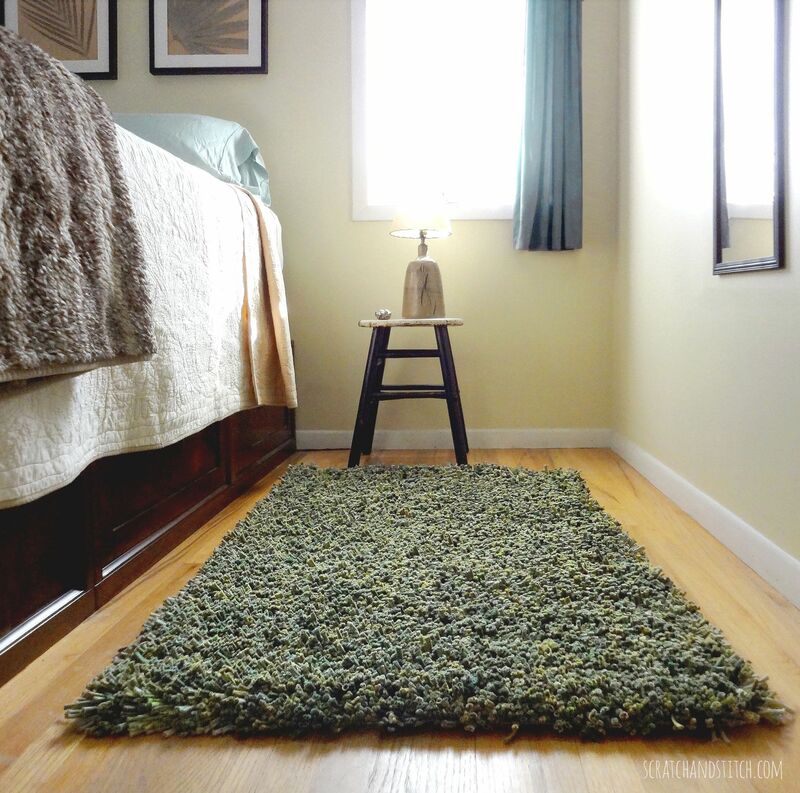 Make a beautiful shaggy rug for your bathroom. You can choose the color of your choice or matching your bathroom. It will complement your creativity. If you love weaving then go on and follow the above link. 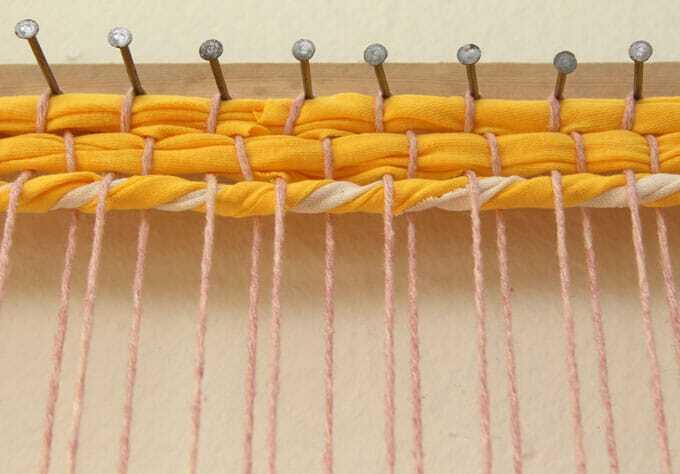 You will learn a new technique and get a new idea about weaving and making a braided rug. Choose a t-shirt from your old store and get it into pieces. Make a trendy rug using it and place it on the floor. 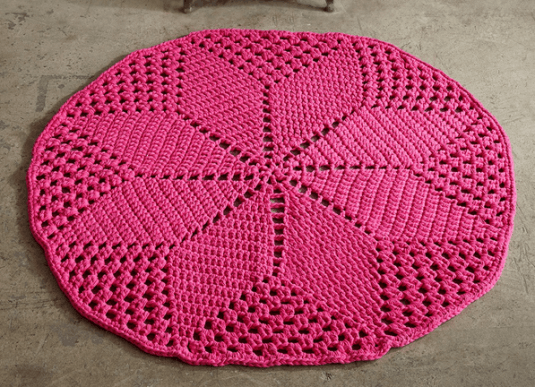 This is a square shape crochet rug made from yarn. Use various colors to make a beautiful design and pattern. Enhance the beauty of your bedroom by placing this rug on the floor. If you are making a rug using latch hook for the first time, you are going to enjoy creating this beautiful stuff. Learn to make latch hook using t-shirt rug. You are going to enjoy your creativity. Place it anywhere in your house. When we throw something, it ends up somewhere! Then why throw the old t-shirt away when you can turn it into the rectangular rug. 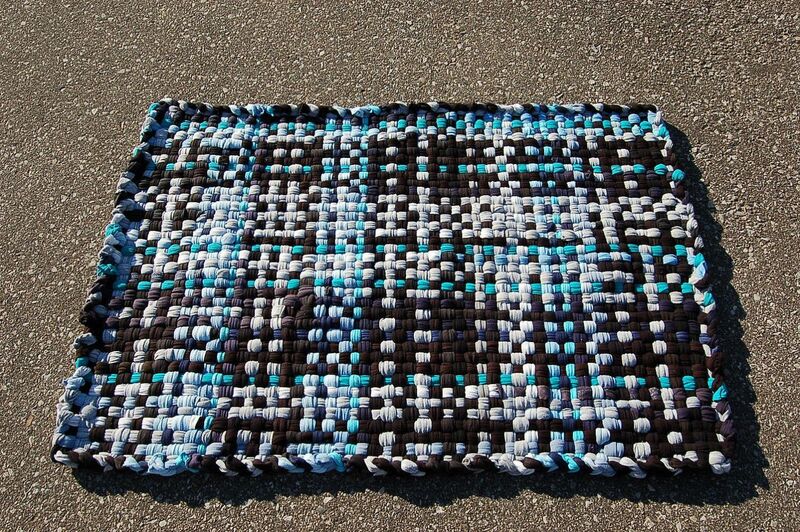 Decorate the floor of your hall with these large rugs made with old t-shirts. Follow the given pattern and make a one. Place it in your bedroom or hall and let your little pets enjoy its feel. They will surely get stick to the rug as it will provide a good comfort to them. Enhance the beauty of your room with this trendy and unique rug. No doubt the shade used in the rug is different and will make a style statement of your home. 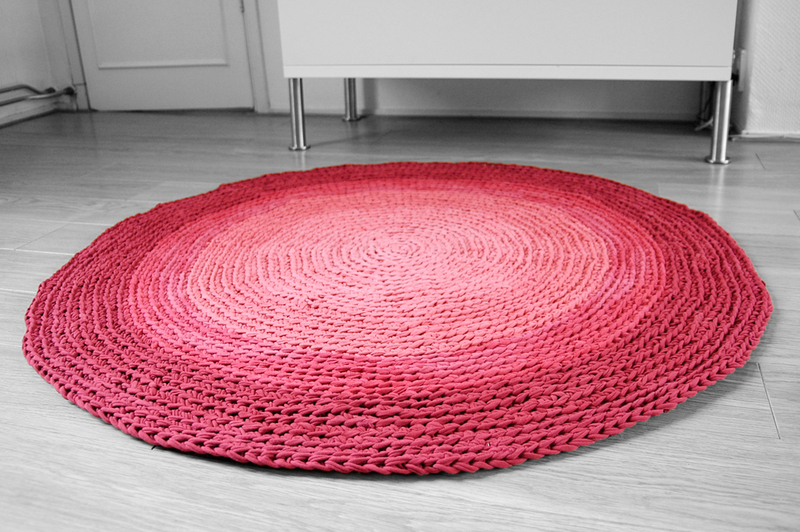 Welcome this winter by preparing wool rugs using a hula hoop. Follow the above link to get idea about how to make one. 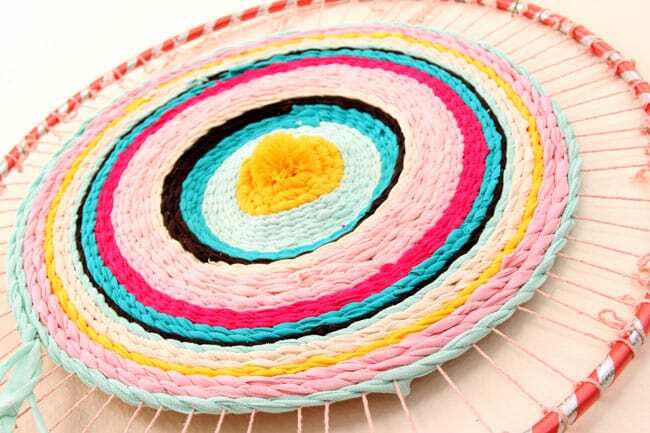 Your little daughter will love your creativity when you will place this handmade rug in her room. So for all the home staying ladies utilize your boredom by creating a masterpiece. This tutorial is going to be a surprise for you as it provides no-sew techniques. Yes, you can make a rug using various strips and that too without sewing. You need to stick it with a glue gun. 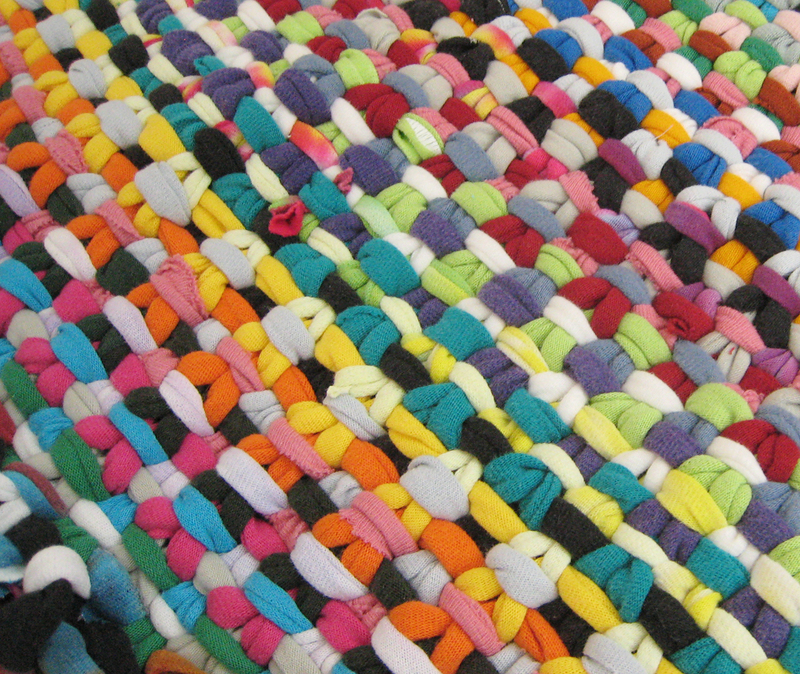 This is another style of making a t-shirt rug. This pattern is time taking, but once it gets ready, it looks beautiful. 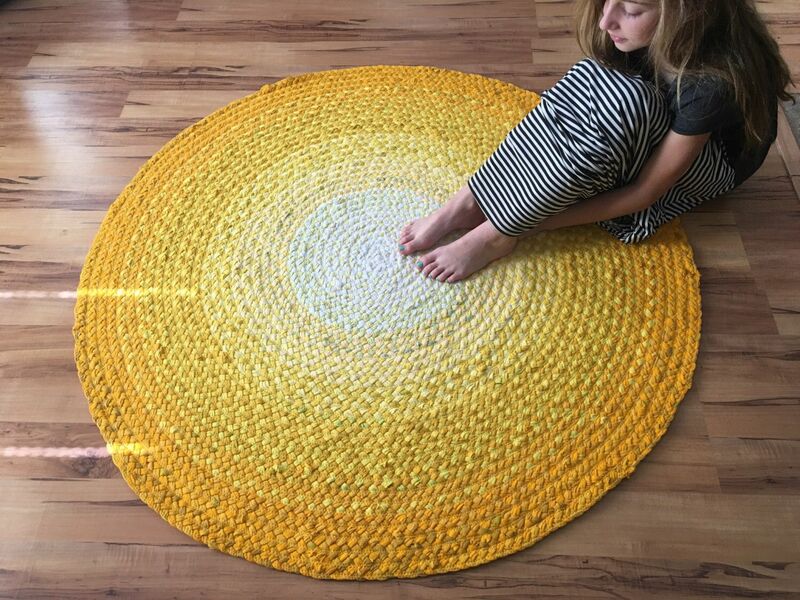 Get ready to try a rug using a hula hoop. You can use as many color combination as you want and the above link will help you to guide the technique of making it. Try this woven rug in your home. As it is loom made, it will have a different material and look in comparison to the handmade one. 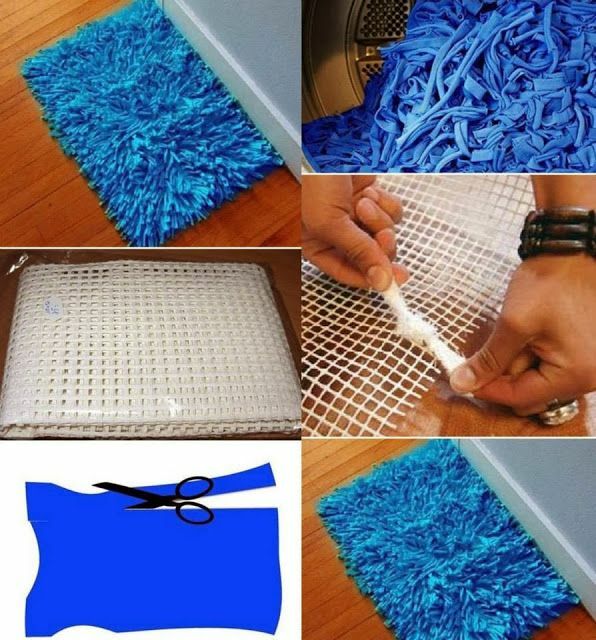 Design a bathroom rug using the old t-shirt cloth. Try a dark color for the bathroom, and you can also use color matching to your bathroom walls. Create a unique pattern of crochet rug using an old t-shirt. Give an oval shape to make it look different and try to add more colorful strips to add details. To complete your empty floor and to match up the interiors of the home area, placing a colorful alluring rug there will be the best idea. 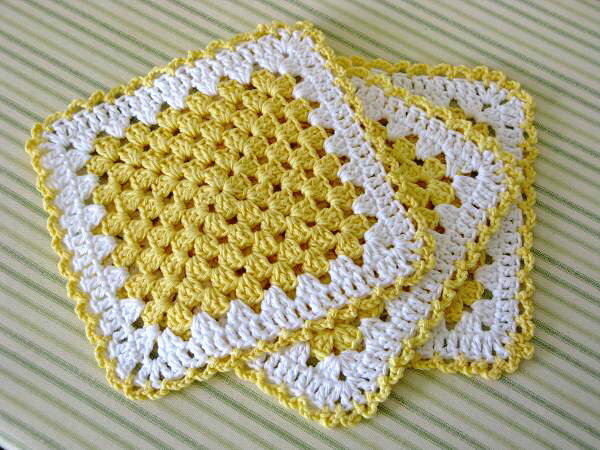 If you are planning for the festive season, then a doily rug can be an add-on in your decoration. It is a beautiful well-prepared rug with elegant designs that will complement your creativity. Want to make something beautiful for your floor? Then you are in the right place. 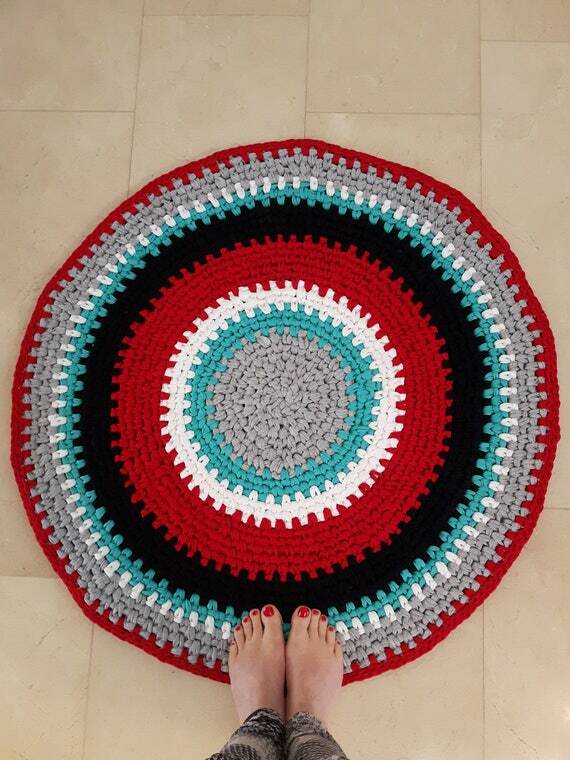 This tutorial will guide you to make a rug using the crochet technique. The best part of making this rug is using your hands. So you can give all sorts of designs that you want to give. Prepare a Flokati rug using the T-shirt strips and choose a bright color to make it. You can make it for your baby. Place it on the floor and let your little one crawl on it. Design a vintage granny using the colors of your choice and get an idea about the pattern from the above link. You can design as per your choice. Your liking for standard designs will reach at height when you come across this woven rug pattern. Try this pattern surely and add it to your knitting list. Ombre designs are creative in look. The shades from dark to light create a beautiful pattern which can be used anywhere. Ombre designs follow rug made in this tutorial, and it complements the whole interior of the house. This knitting pattern is straightforward to make, and it also needs fewer efforts. Just combine few strips of t-shirts and make a simple yarn rug through knitting. 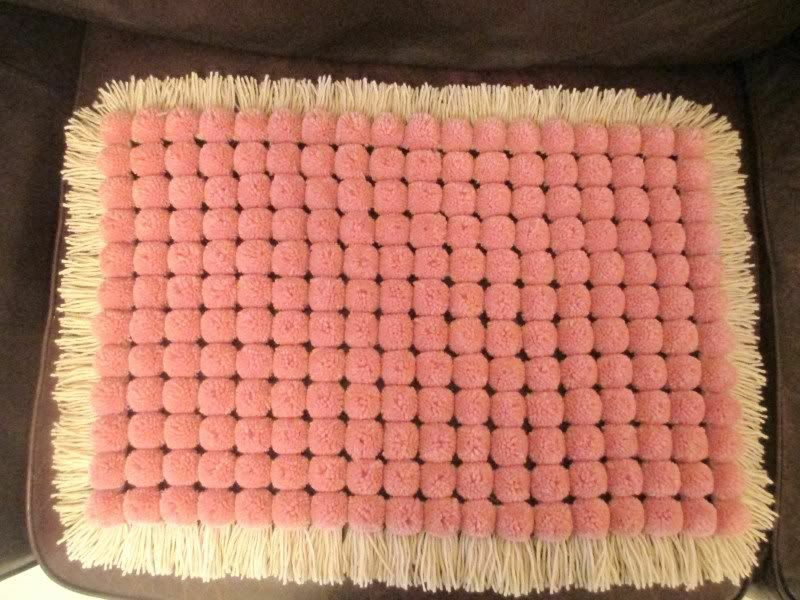 Making a pom-pom rug is very easy, it needs less efforts and the technique of making it is also very simple. The best part is that it involves fun while making it. This multicolored toothbrush is a unique idea of making a rug. The best thing about making it is that it can be placed in any part of your home and any room as it will be a perfect match for all types of room colors and floors. This is a pink colored t-shirt rug which can be used in the rooms or study rooms of your little girl. This fluffy bright color rug is going to make you crazy as you place it on the floors. It will become part of your beautiful interiors and will enhance the beauty of the room. Create a beautiful white rug using white t-shirt strips. Place it on the floor and enjoy stepping on it. Well, you can use it the other way also. Attach lights inside it and hang it on the walls. It will give an amazing look and will enhance the beauty of the room. This one will suit your lobby or your kitchen. 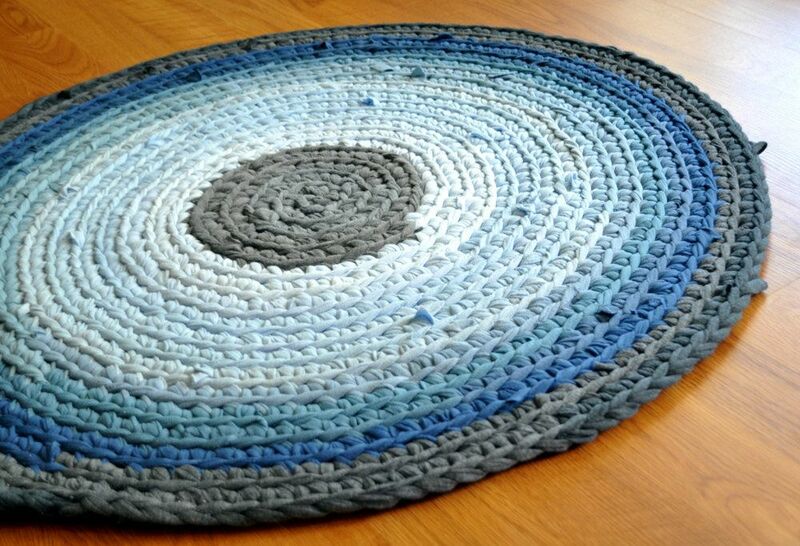 Try making this simple rug just by recycling the old t-shirt. Follow the tutorial given above and learn to make a simple and easy rug just by using the strips of your t-shirts. The simple pattern used in the tutorial will make your work easy and will also save your time. So get started to make a one. 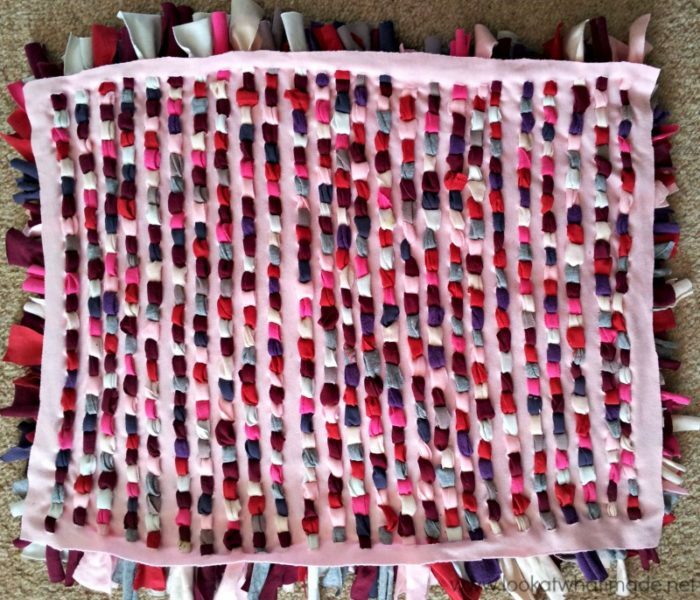 Just a plain piece of cloth and few t-shirt strips are needed to make this simple rag rug. Your partner is going to appreciate your creativity and efforts. Apart from that a part of your home will look admirable. 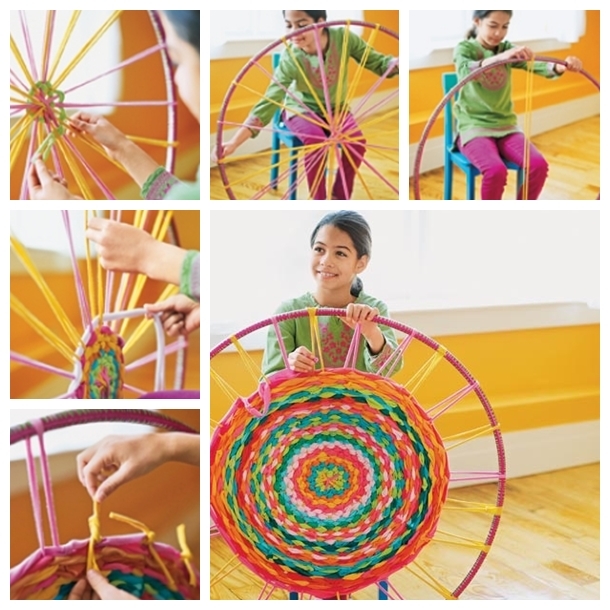 Enjoy weaving with a hula hoop. 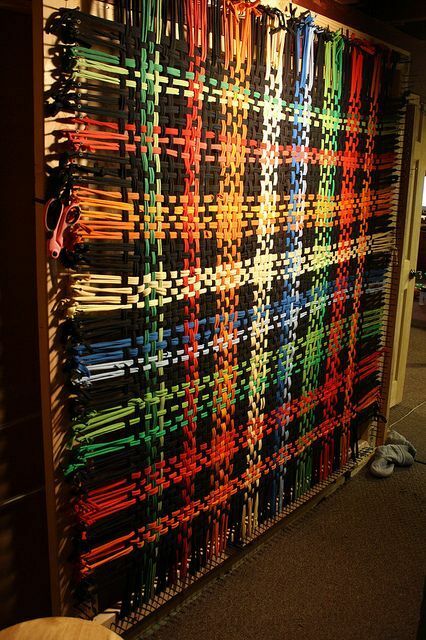 Create a decorative pattern using colorful strips and hang it on the wall or use it on the floors for decorating. The large rugs are used in the common room or the study room, and they cover a good space as well as also maintain the balance between the massive interiors in the home. Place one on the floor and enjoy stepping its touch. Design a beautiful and extra large rug and place it in your study room or your sleeping room or you can also set it in your guest room. This one will amplify the beauty and charm of the home. This multicolor striped rug looks alluring and attractive when placed on the floors of your room. You can use the pattern of your choice and inflate the beauty of the rug. 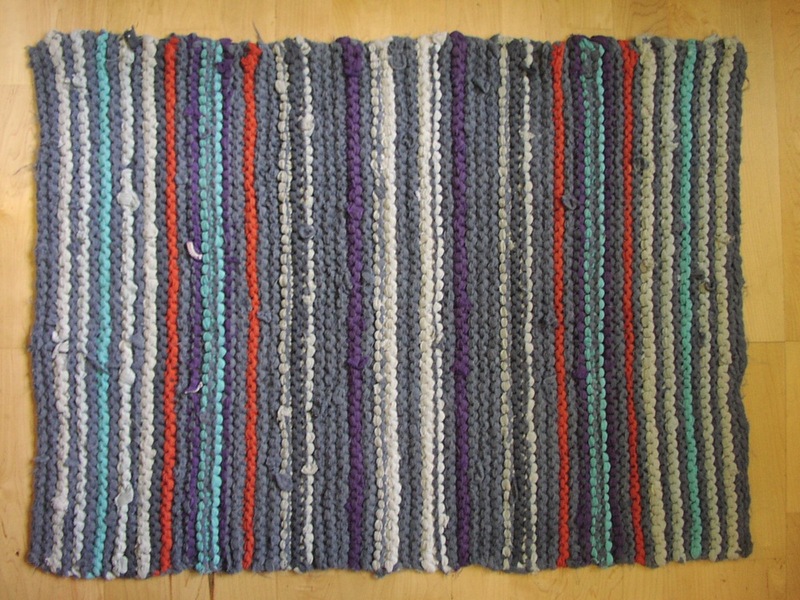 This is a multicolored yarn rug that is made in a rectangular shape. 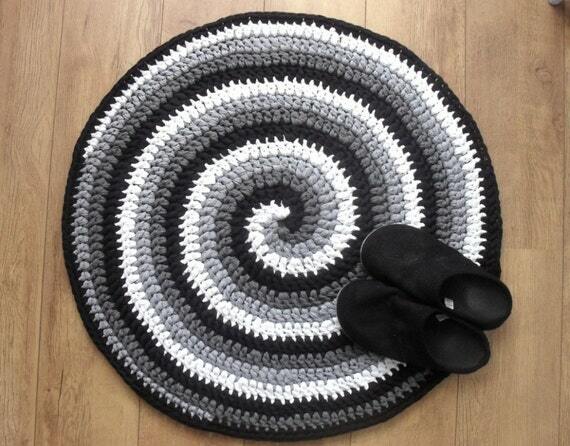 Get an idea from the above tutorial and make one crochet pattern rug and place it on your room floor. How to Make a Rug from T-Shirts? Don’t let your old clothes go waste instead make a beautiful rug out of it. Follow the tutorial given above and get an idea for making a rug using different patterns. How to Make a Rag Rug Out Of T-Shirts? Do you want to make a rug for your floor with a unique pattern and design? Follow the given tutorial and start making a rug in a stepwise manner. How to Make a Rug from Old T-Shirts? Wondering what to do with an old t-shirt and want to use it again? This tutorial will help you out. Get an idea about making a rug using an old T-shirt. Create a beautiful and alluring material out of your old stuff. Let’s get started to make one. How to Make a Rug Out Of T-Shirts? Collect your gang and get ready to make rugs using the old –shirts. Along with your friends watch this video that will help to make rugs in a stepwise manner. You will not only enjoy spending time with your friends but also appreciate the creativity of each other. 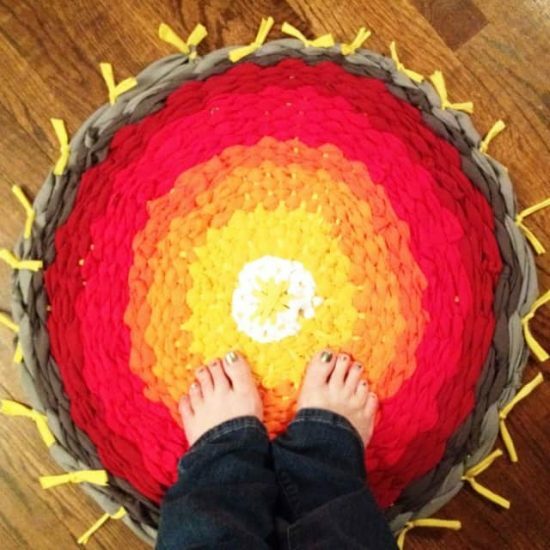 Follow the given instructions and start making a crochet rug for the floor. You can apply patterns of your choice and make a beautiful rug. Get directions about making a rug using the t-shirt and start making one for your home. Use colors that suit your interiors. How to Make a Rug Out Of Old T-Shirts? You are going to enjoy and appreciate the technique shown in the above video. Let’s start to make the rug using well-featured designs and patterns. How to Make a Rag Rug from T-Shirts? 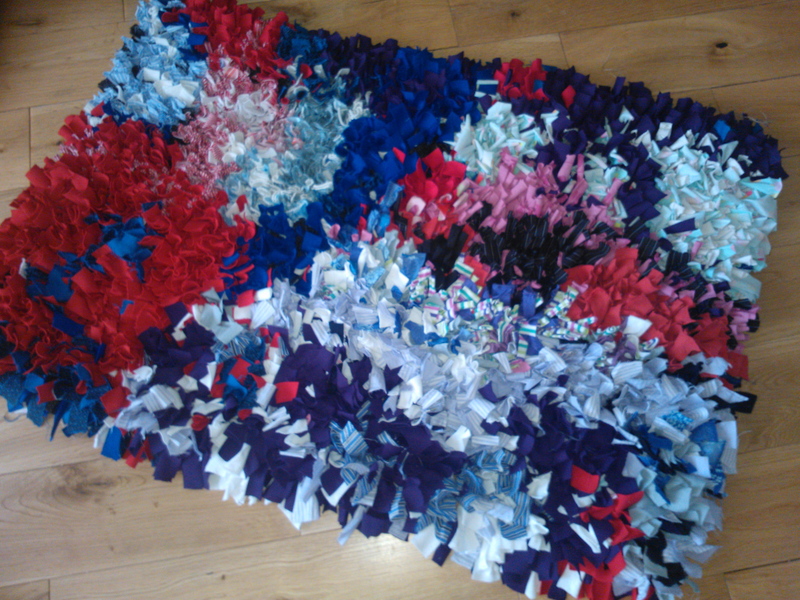 Directions given in the above tutorial will help you to make a rag rug from t-shirts. Follow the pattern shown in the video and prepare a rug. 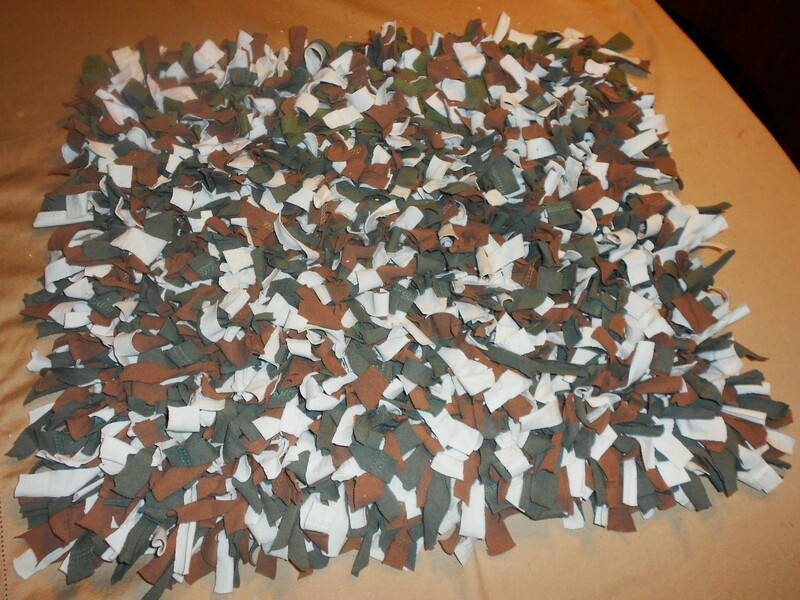 Follow the stepwise directions given in the video and start making a rug. Have fun in creating a new pattern. Prepare your t-shirt rug by following the steps given in the tutorial. 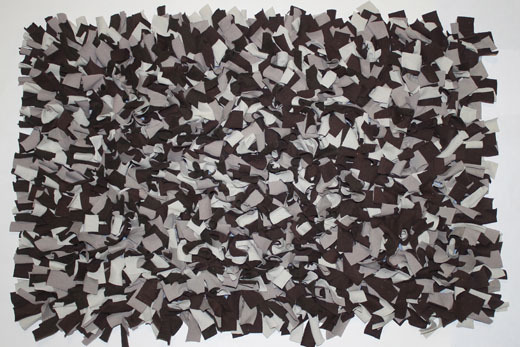 Design a bathroom rug by following the given tutorial. It will help you to create a beautiful floor décor for your bathroom. This new tutorial is on making a latch hook flokati rug. You are going to appreciate the efforts made to prepare a rug in the video. 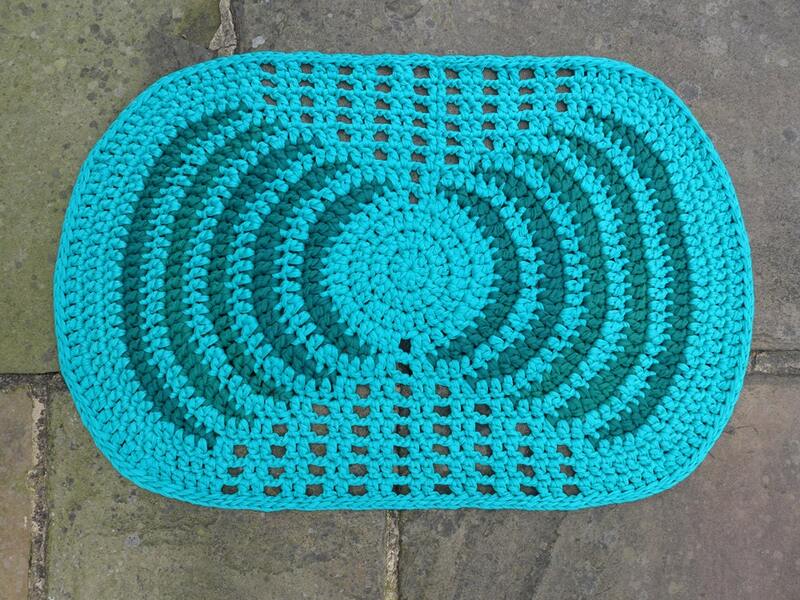 Follow the above tutorial to make a beautiful ombre crochet rug. This will be the creative stuff in your bedroom. A pom pom rug is a well-designed one and can be used anywhere on the floor. This tutorial will help you to learn about using an old t-shirt and converting it into a new finished rug. Start making one of your own. Although the pattern is shown in the tutorial is a bit tricky, but once you get through it, you will find it easy to make a rug.